Civil War Reenacting-Helping You to Truly Enjoy Reenacting! 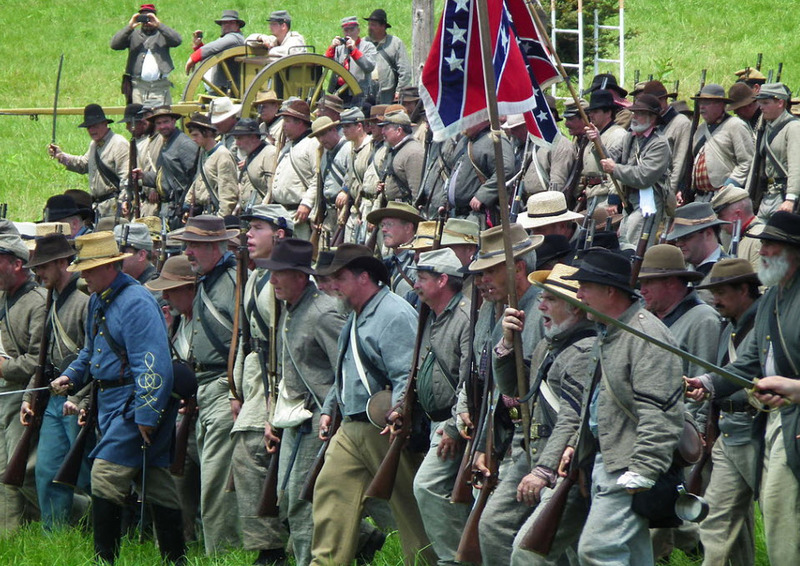 Welcome to the ultimate Civil War Reenactment website. If you like history and are fascinated by the Civil War era, if you are ready to put down the book, get out of the armchair, “see the elephant” and smell the gunpowder, then this is the place for you! It has been said that when “you relive history, you truly understand history,” in a new way and appreciate what the original participants experienced! My goal is to help you, the Civil War reenactor, to have the best experience and the most fun with one of the most exciting hobbies available today. Whether you are just checking this out for the first time or you are a novice or an experienced reenactor, this website is designed to help you connect to a unit in your area, get the best equipment from reputable sutlers, and know when and where events are happening. If you are just getting started, I recommend that you first contact a unit in your area that you may be interested in joining or at least visiting. To help with this, see the Civil War Reenactment Units tab. Also you may want to visit some local events where you can meet reenactors, ask them questions, and learn more. This is how I got started. I recommend that you join a unit before purchasing any gear from a sutler because each unit may be doing a little different impression. Most units are delighted to have a “new recruit” or interested novice and may have some “loaner” equipment to help you get started. The wonderful thing about reenacting is that the entire family can be involved, doing different types of impressions and sharing the fun. Many units have auxillaries for spouses and children who may want to do various civilian impressions. These add immensely to the realism of the unit’s impression at events. It is my goal that in time this site will be a comprehensive resource for the reenactment community. If you have suggestions or I have missed a unit, sutler, or event, please contact me and let me know. Click Here to find Reenactment Units in your area. Click Here to find a Sutler’s list for equipment and supplies. Click Here to find scheduled events to visit. Click Here to read the latest Book Reviews. Great site Marty; If you are a seasoned re-enactor or just getting started their is a wealth of information to be had. Keep up the good work! Marty your site looks so beautiful and is so informative! I love the photographs. It looks like this is really fun to be part of! I’m satisfied to find numerous useful info right here within the post, we’d like develop more strategies in this regard, thank you for sharing. Hello Marty. What a cool idea for a website, not just the history around the Civil War but how to live that part of history, a bit, with reenactments. Thanks Linda for the visit and the email. There are a lot of men and women who have discovered how much fun it is to do historical reenactments, especially of the Civil war period. It is amazing how much you learn in the company of other reenactors that you will never learn or experience by just reading about it. To walk a battlefield where tens of thousands of men faced each other, fought, bled and died will hekp one to appreciate the cost of the freedoms and advantages that we enjoy today. My website is not dedicated to war, but to helping people understand thae greatest conflict in our nation’s history by reliving it in a small way. 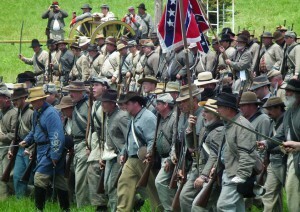 Please encourage any history buffs you know to visit my website: http://civilwar-reenacting.com. Thanks for the encouragement. Hope your friends like the site. Check back soon for new book reviews. mind before writing. I have had a hard time clearing mmy mind in getting my ideas out there. be lost just trying too figure out hoow to begin. Any suggestions or hints? Here’s a suggestion: think of a topic then sit down to write. Using a timer set for 10 or 15 minutes, start writing whatever comes to mind about that topic for that time period. Then go back and edit it. I also helps if you have two or three points you wish to make about your topic before you start. With practice, you’ll be able to concentrate for longer time periods and write more. Send me a blog or post on something related to my general topic and I’ll be glad to review it, then decide if I want to post it. I am trying to find out about civil war reenactment groups located in Utah. Can you help me out with contact information and/or times and dates of said reenactments? Thank you so much for your time today Marty! You are truly a pleasure and we look forward to working with you. You have a fabulous site! I am a retired senior and I make costumes for income. I love the civil war era and am very reasonable and authentic with my work. I need help in marketing. I would like to display and sell my costumes at an event in Virginia during summer months and possibly in Florida souring winter months. Can anyone tell me how to get started with this. Thanks Capt. Bill. Hope Barbara saw your comment. Do anyone know reenactment groups in Cincinnati Ohio for me? I’m a first timer and under the age of 18. Thank you!! Go to http://civilwar-reenacting.com/reenactment-units/ohio-texas and click on some of the Ohio units. Contact any that look interesting and ask them if they have members in your area. Most will be very happy to help you find a unit nearby. Also, look in northern KY at http://civilwar-reenacting.com/reenactment-units/kansas-montana to see if there may be some units right across the river from you. Thanks Butch, I have added you to my vendor list which may send you some additional business. It varies with the unit, Elijah. Usually 12 to 16 is the minimum, but in the Civil War boys as young as 10 served as drummers or camp help. I am looking for information on Levi Jackson 54th Massachusetts Infantry Company I. He is resting peacefully at Woodland Cemetery and Arboretum in Dayton, Ohio. I would like to do a feature story on him in an upcoming newsletter and am seeking information on his service. Is there a group representing Company I? Angie, try the reenactor page at http://mass54thcompany-a.com/ and contact their members to see if they can give you additional information. I am concerned about the future of reenactments given the hysteria that is going on in our country right now. My father took me to Gettysburg every year and I totally loved it and still have a deep love for it even now. Have you all addressed these concerns or had any attacks, verbal or physical, brought against you? My prayers are with you all for safety and may God bring sanity back into our land. Kathy, I’ve only had one comment from someone who did not understand the purpose of reenacting. Let’s continue to share our knowledge and love of history for this very crucial period in our nation’s history. I did not hear back from you. Were you able to open the pdf file of the “New Handbook …”?